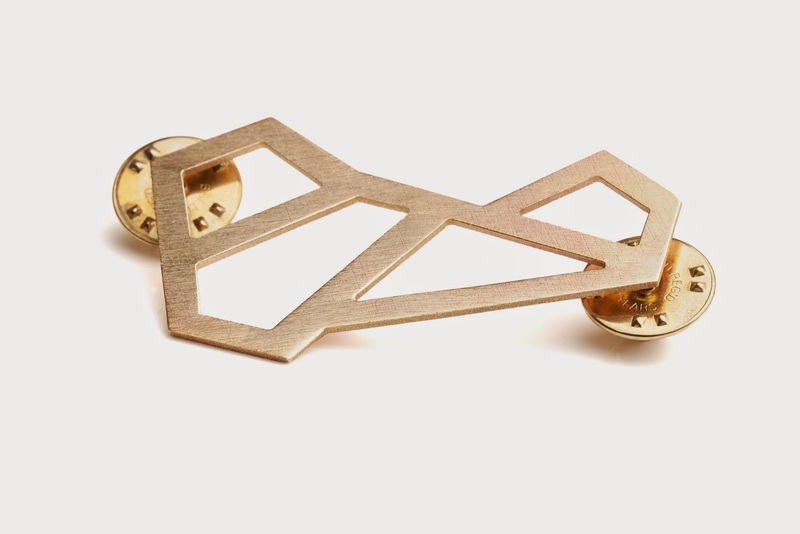 The lure of geometric and minimalist wearable objects of sleek quality is simply too hard to resist upon discovering the compelling DV Jewellery. 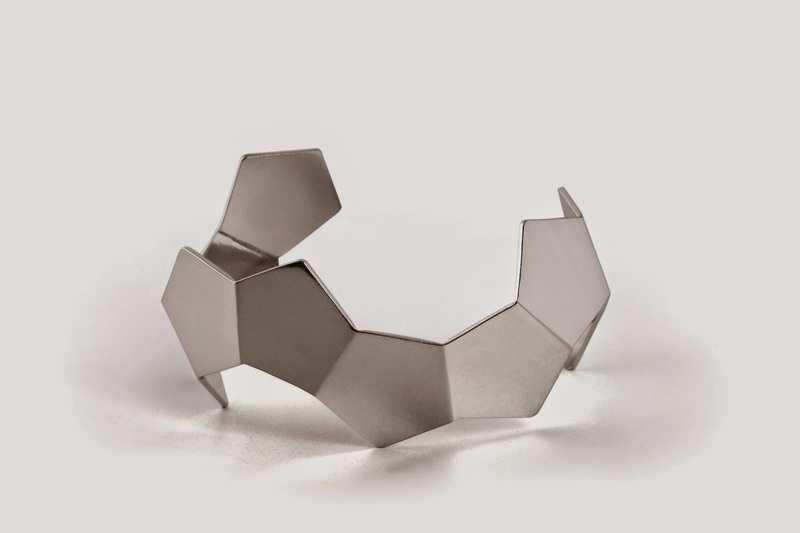 Netherlands based founder and designer Danielle Vroeman launched her brand in 2010 and creates all her signature style by hand for a deeply personal touch, proving that beauty comes from limited resources and stripping bare all the unnecessary essentials that most would define as jewellery. 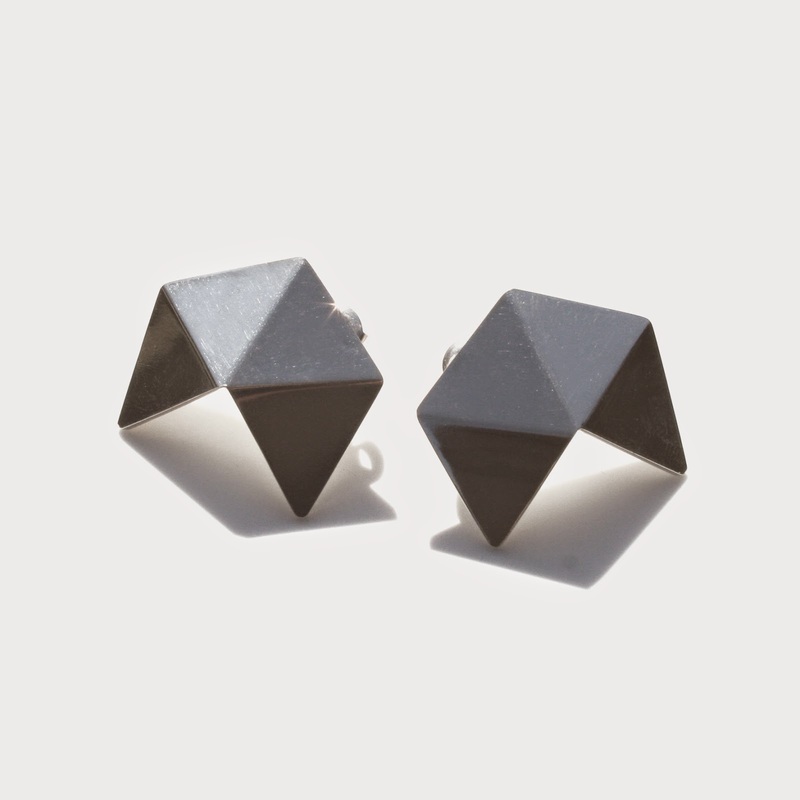 Inspired by geometrical figures, modern architectures and futuristic imageries Danielle formed timeless adornments of utmost simplicity that became known as GEOM, her breakthrough silver collection inspired by platonic solids, a favoured object in geometry. 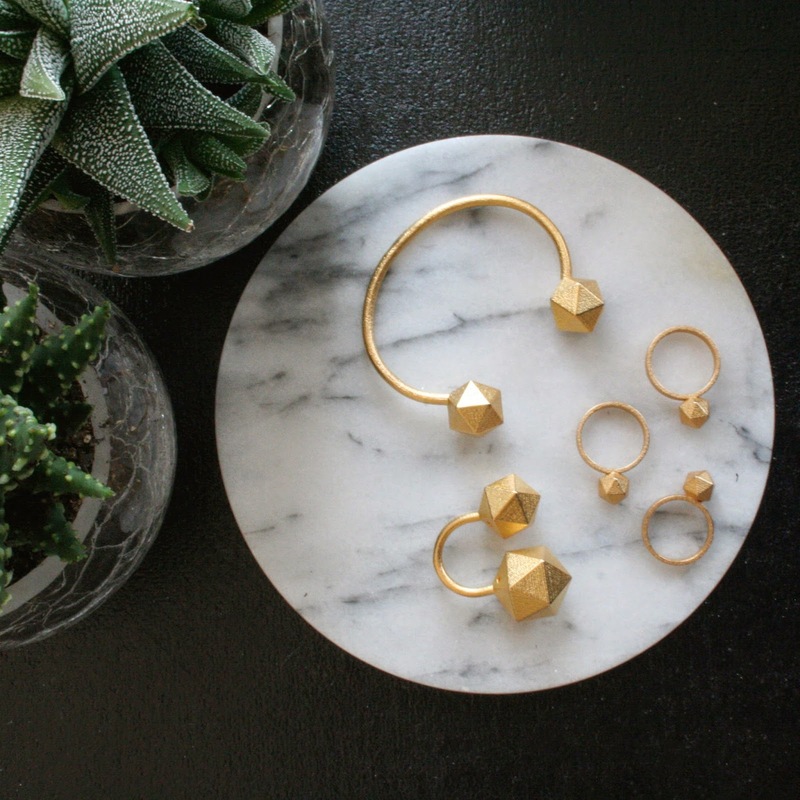 Here I sought to find out more about the person behind the brilliant label, her inspirations, the concept behind her GEOM collection and future goals for her jewellery label. 1. What inspired you to become a jewellery designer? At what moment did you decide this was your career path? When I visited the Art Academy I studied at, before attending it, I immediately was interested in learning the skills of goldsmithing. To learn a craft and create my own pieces what something I was eager to learn. 2. 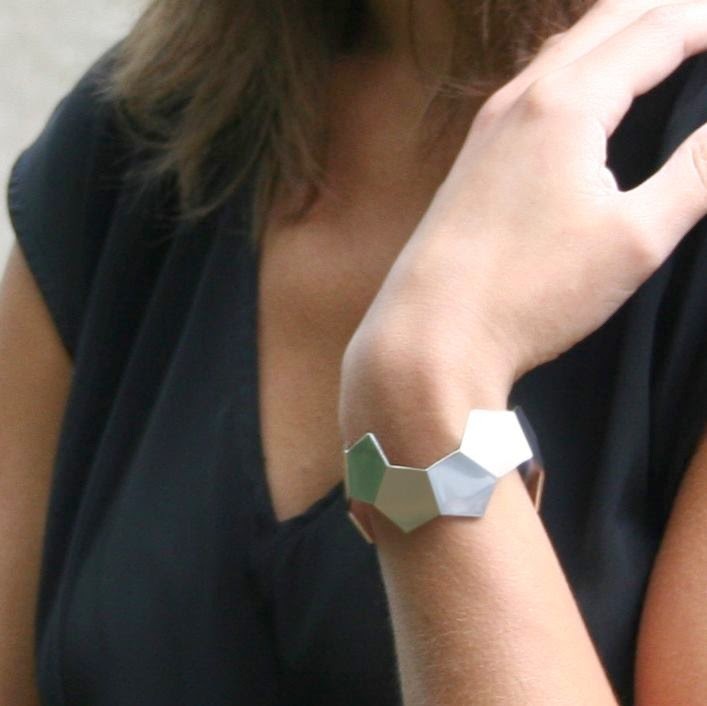 Your jewellery is inspired by geometry, what is your personal story regarding this theme? When I was working on my graduation project, I discovered the beauty of Islamic Art, and the use of geometrical pattern in particular. This made me wanting to know more about geometry and mathematical figures, and so I discovered the Platonic Solids, which where the inspiration for my first collection “GEOM”. 3. 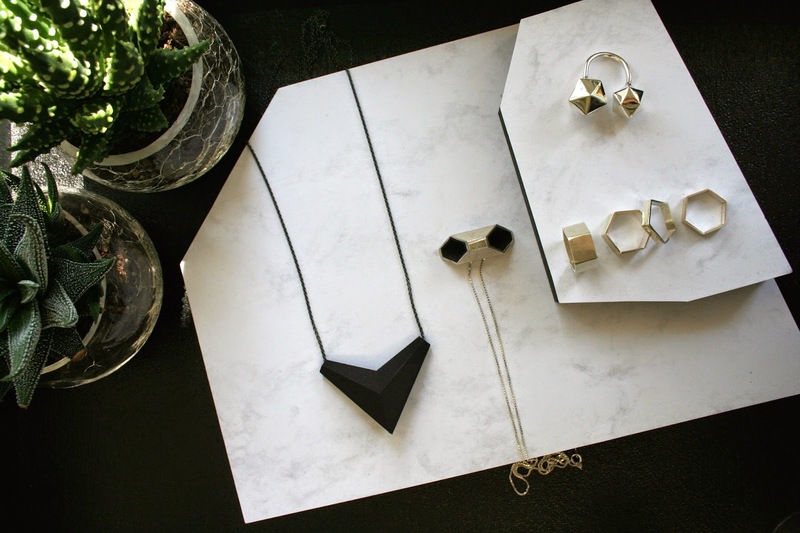 What is the inspiration behind your first collection GEOM? 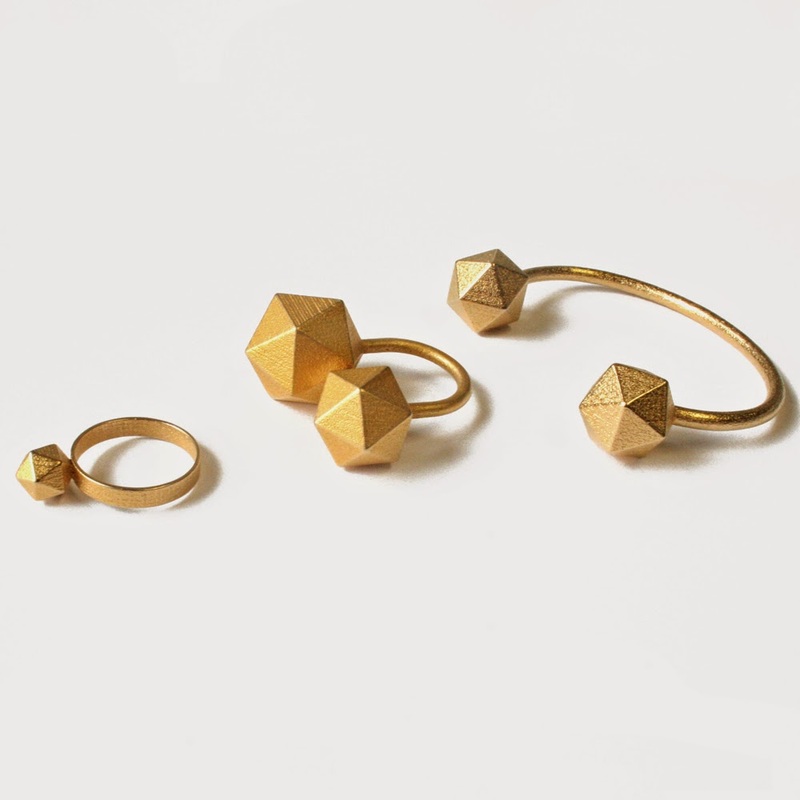 The GEOM collection is inspired by the platonic solids discovered by Plato. There are only five platonic solids and the cubic is the best known. The solids are favorite objects in geometry because of their symmetric beauty. 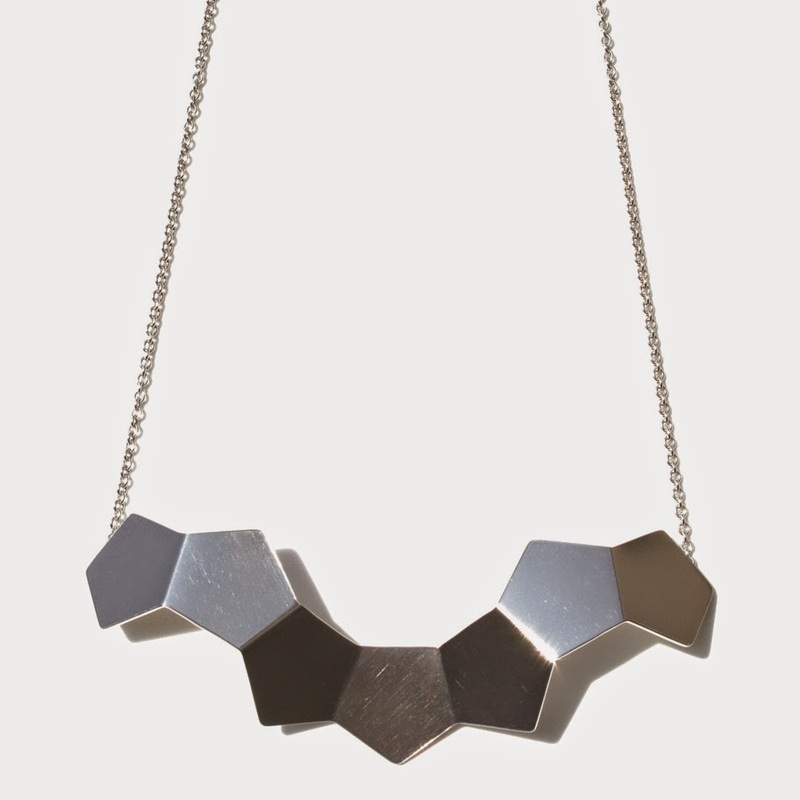 The silver jewellery are created using elements of these solids. 4. 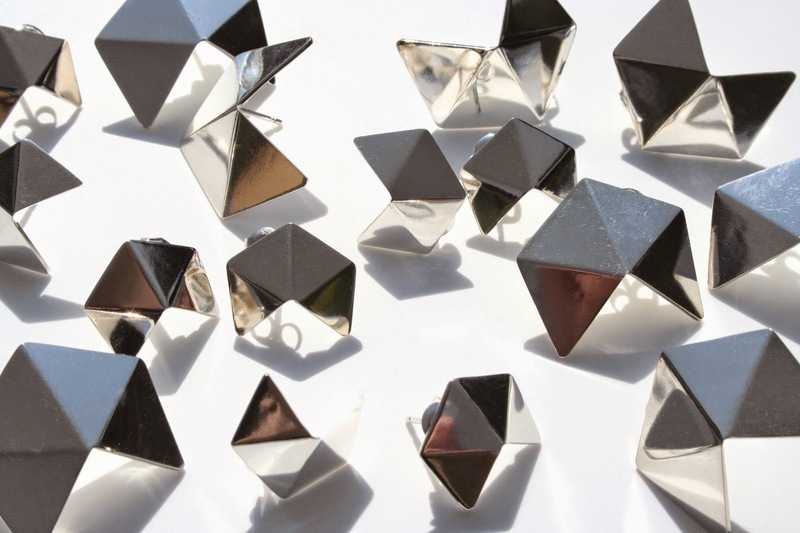 Describe the creative and technical stages of making your jewellery pieces. What is the hardest and most enjoyable part of the process? The creative proces is searching for inspiration, and making a lot of drawings and tests in material. The technical stages is that I usually start with just a plate of silver or other metal, and than shape it into the form I’m looking for. The most enjoyable part for me is the first pieces where I have to search for the best way to create and make the piece. Which can also be the hardest part, if you don’t find the right solution. 5. What is your favourite jewellery piece/s at the moment from your collection. What do you wear all the time? I always wear (simple) rings and earrings. 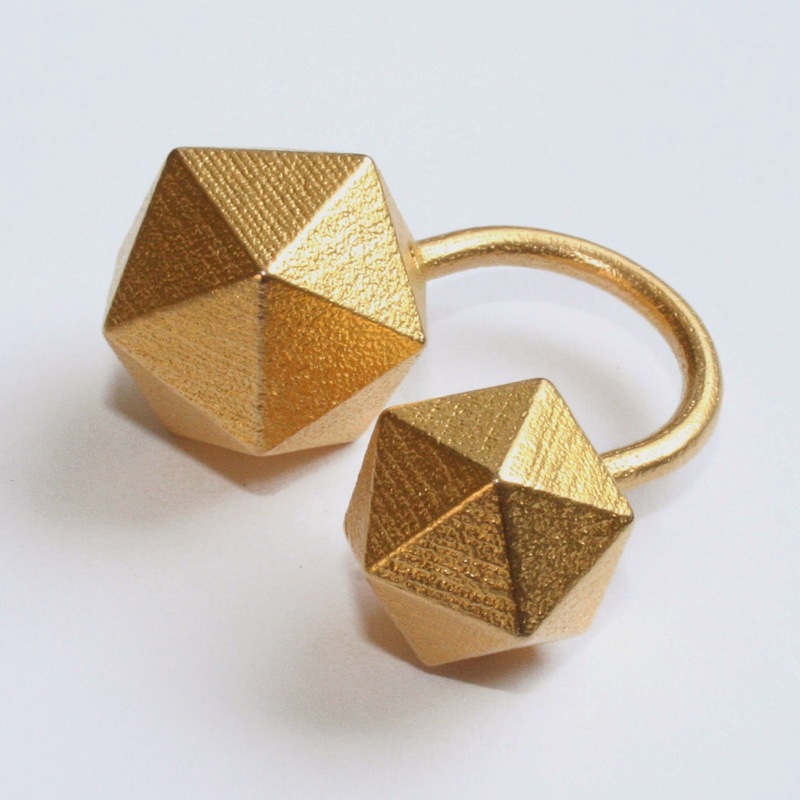 But my favorite piece would still be the GEOM two ball ring. It’s a real statement ring, and time-less at the same time. 6. If you're not making jewellery what do you do in your spare time to unwind? 7. Social media is still relatively a new tool to promote brand awareness in the jewellery industry. How do you utilise this platform to your advantage? What is your favourite platform? At the moment I do love Instagram much for spreading my designs and inspiration out there, but I also love pinterest do search for inspiration, not only for jewellery. Facebook is still also quite important, but I’m not enjoying this platform that much any more. Social media is quite important to show your designs to the world, and for people to find my work. Acreative mind, who wants to wear something that is not for sale in any store, and is conscious of what she/he is wearing, and likes the handmade aspect of jewelry. 9. Is there a jewellery designer or influential public figure you look up to the most? Do they provide inspirations in your designs? I guess there are several designers I look up to, because they have a great style of design, are masters in goldsmithing or knows how to present themselves on social media etc. in a fun way. Things I can learn from and I admire. 10. If there is a brand or a person you could collaborate a new collection with who would it be and why? I would love to collaborate with a cool menswear brand, of a fashion brand one day, that would be a dream. Or collaborate with creatives from other branches such as graphic design and create a accessory line or something like that. That would be great if this will happen one day, we’ll see what the future will bring. 12. What is the next step for you? To expand my brand, learn more and how to be better about gold-smiting, and find more international stores that fit my brand, that help me to get to a bigger audience.